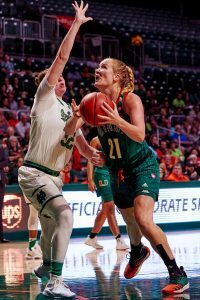 Coming off a heartbreaking loss in Louisville that knocked Miami into college basketball analyst Joe Lunardi’s “Next Four Out” from the “First Four Out,” the Hurricanes will host rival Florida State Seminoles 9 p.m. Wednesday night in the BankUnited Center. Miami (17-10, 7-7 ACC) led for much of the game against Louisville, only to falter in the final minutes and lose 55-53. Louisville was reeling — having lost its previous two games — and amid team turmoil, with the team reinstating suspended point guard Chris Jones to play against the Hurricanes. 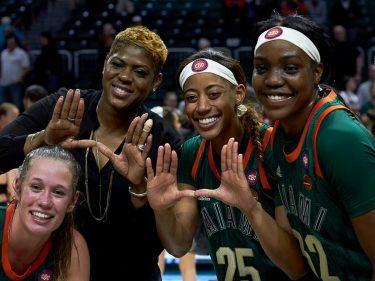 Miami looked to have an opportunity to validate its season and earn an NCAA tournament bid, yet ultimately came up short. 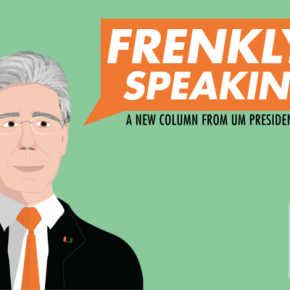 Now, it is essential that the Hurricanes win out in order to make it to the Big Dance. Florida State (15-13, 7-8 ACC) comes to Coral Gables already having beaten the Hurricanes this season. 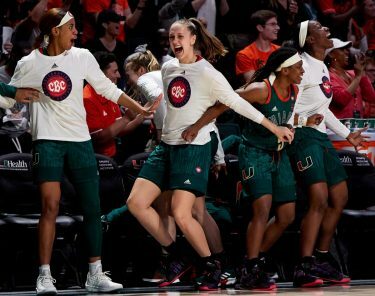 In Tallahassee, the Seminoles rallied from 16 points down in that game to triumph over the Canes 55-54. Junior guard and leading scorer Sheldon McClellan had an opportunity to win that game for Miami, but his floater in the lane clanked out as time expired. Throughout the final weeks of the season, Larrañaga has stressed that his team needs an RPI in the top 40 to make the NCAA tournament. Its RPI currently resides at 67.